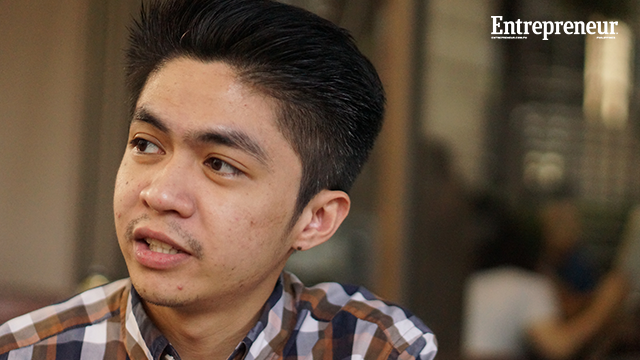 “What comes into mind when you hear a place for low-priced goods and bargain shopping?” the young entrepreneur Niel Vic Suaybaguio asked. “Divisoria, ‘di ba?” he said, answering his own question. Indeed, one cannot talk about Divisoria without discussing the range of affordable assortments, from novelties to appliances, that are concentrated in the heart of this retail destination in Manila. But although Divisoria is known as one of the more famous shopping spots in the country, its location remains unreachable for many, especially to those who reside outside the metro. This is the central issue that Niel and two of his classmates wanted to address when they put up their e-commerce start-up, OneDivi.com, back in 2014. The three then-entrepreneurship majors from Mapua envisioned their start-up to be an online marketplace for wholesale trade of anything that is sold in the country’s largest marketplace. What started out to be a simple project for a class, OneDivi.com, became a promising opportunity for the three founders to sustain in the long run. Through bootstrapping and a few loans, Niel and his partners were able to pool the funds they needed. Niel himself was never short of entrepreneurial sense and support, with his family having business roots from Tagum City. The team was adequately equipped and ready to go. And though OneDivi.com was originally planned to only cater to Divisoria stores, the founders thought it would be best to become a space for other businesses as well, to conveniently acquire supplies for their operations through the platform’s payment portals and logistical partnerships. For a while, OneDivi.com was on the right track. The founders brainstormed endlessly on the essentials of OneDivi.com, gathering their resources to start their online venture. After conceptualizing their objectives, the team wasted no time in moving forward. They immediately hired a team of web developers to create the website and engaged with potential business partners to be part of their supply chain. The founders even became part of the revered Founder Institute, learning things to support their business and expanding their network along the way. “Everything was already set. We even met some potential investors who seemed interested in our start-up,” Niel recalled. When everything seemed to be gearing toward initial success, the founders encountered their first set of problems, primarily on the most crucial aspect of the business given its nature – the technology side of the platform. Just before the team was about to launch OneDivi.com to the public, its technology fell behind when the founders failed to secure a tech team that can fully commit to the venture. Problems stemmed from issues as simple as not being able to meet with and properly discuss with the developers, eventually mounting to the half-baked platform’s immediate decline and eventual closure. Even though OneDivi.com did not take full flight, Niel reflects on three lessons he picked-up from his entrepreneurial experience. Niel said having the right people with the right expertise is crucial. In the case of putting up their online venture, Niel asserted that a technology co-founder was the person missing in their core team. “We should’ve had a technology co-founder from the start. We had a hard time finding a person to cover the tech side of OneDivi.com,” Niel revealed. Niel explained that nobody in their core team could handle the essentials and complexities of web development, making them outsource that aspect of the business. Even though they were able to outsource a team of web developers for their platform, they became too dependent on their services. When this web team encountered difficulties in meeting and communicating with them, along with staying true to deadlines, the full development of the platform lagged, until it halted for good. “Our first team of web developers weren’t able to follow our schedule… It led to delays and excuses,” Niel shared. Niel learned that being open is important with any start-up. “Our first mistake was that we were too proud of [OneDivi.com]. We didn’t want to share it. We were afraid someone might steal our idea,” he admitted. Niel thought that since they guarded OneDivi.com too much, they shunned opportunities that could’ve helped their venture thrive in the long run. He learned that openness is also a healthy form of risk-taking. For instance, Niel said they disregarded potential investors as they were worried these investors would take control of their project. Looking back, he now thinks investors could’ve turned things around for OneDivi.com. Niel reiterated that, as entrepreneurs with little experience, it’s always best to share one’s ideas and be open to other people. “It’s not enough that you are planning to put up your own business. You really have to do it... Because eventually, you’ll learn through the process. You’ll learn through making your mistakes,” he said. Niel pointed out that to start early and fail fast is more about making small everyday decisions, rather than making the big ones. He learned through his experience that running a start-up requires making a little trial and error of decisions, with the idea that some methods will succeed while others won’t. They key, according to him, is fostering a habit of experimentation. It’s where one is willing to do things quickly, but failing fast and rising up when they don’t. “Don’t be afraid to fail early because if you failed, then you can move on to the next idea. Don’t stay too long on one failure,” Niel added. Niel always had a dream of putting up his own big business. Even though OneDivi.com didn’t take off as the next big start-up he had intended it to be, he believes everything he had gone through for it was a valuable learning experience, one he’ll carry on when he comes up with his next entrepreneurial endeavor after law school. “I really don’t want to give up on the idea of having my own business. 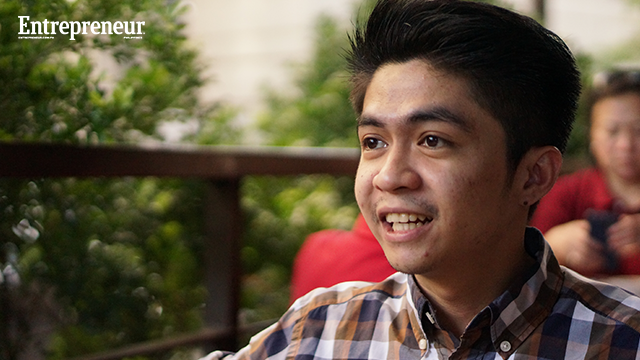 [OneDivi.com] was about acquiring more knowledge and experience,” Niel shared, now a student in Ateneo Law School. In spite of the amount of time and effort he put into OneDivi.com, he stresses its failure does not leave any room for regret – only long roads revealing his ways of moving forward.